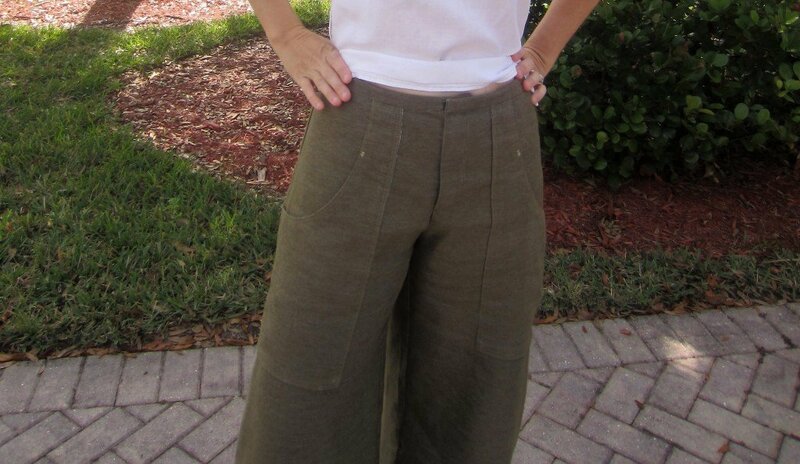 These Wide Leg Trouser Culottes have been on my mind for ages. I bought the fabric on a whim a few months ago when I bought the knits for my Mandy Boat Tees. It’s Hemp and Recycled Poly in an Olive from Honey Be Good in a nice twill weave and just a bit of sheen. I’m tempted to give the charcoal a go as well. It looks almost like a heavy wool but it’s just 10oz. 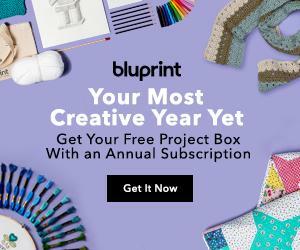 Disclosure: I’m an affiliate partner with Craftsy and receive compensation if you click-through my affiliate link below. All opinions are my own. 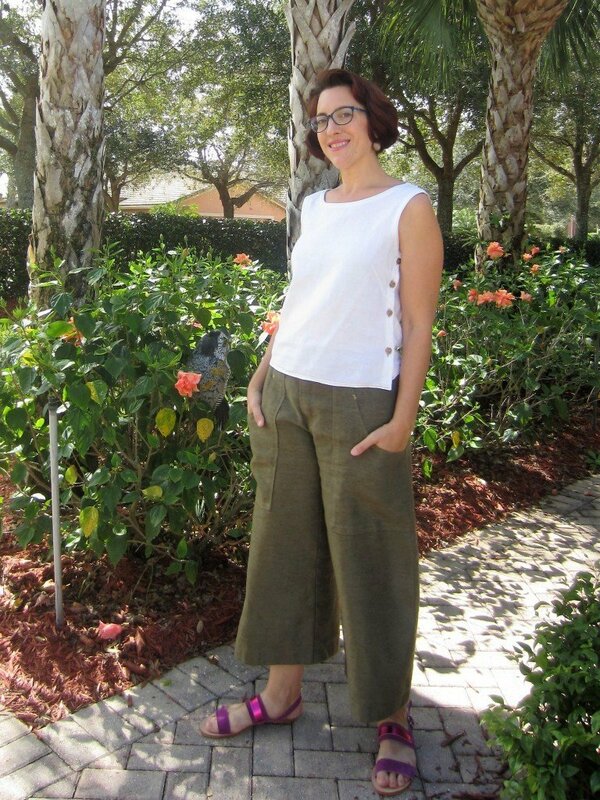 I drafted these trousers using my sloper from the Craftsy Class Patternmaking and Design- The Pants Sloper with Suzy Furrer. 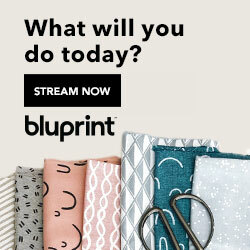 * Affiliate Link. These are my first pants using the sloper and I’m really happy with the fit. The one problem I found -which I hadn’t noticed when I made my pant muslin- is that the crotch is set back way too far. So while the crotch length is perfect it’s too deep in the front by about 1.5″. I’ll be fixing that on my sloper and it will be perfect! I drafted these by widening down the leg from the hip and the interior leg to this width with a deep hem. Without the hem these are full trousers. 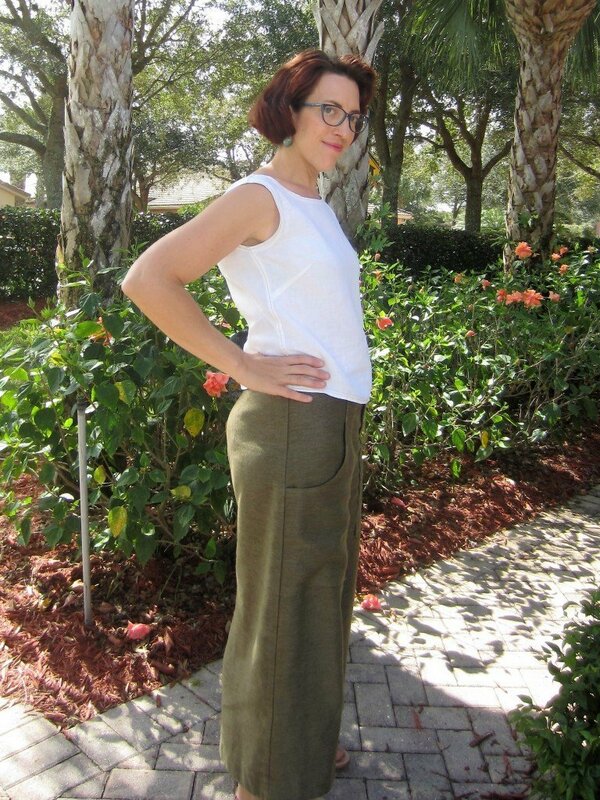 I kept the waist at 1″ below my natural waist and then added a 1″ finished waistband so these sit at my natural waist. I used Susan Khalje’s technique for waistbands in Threads 165 from March of 2013. The waist closes with a snap and hook and threadbar. I kept these simple with no back pockets and just the darts for shaping. I don’t ever use back pockets anyway. For the front I drafted a zipper fly and added these deep pockets. I just drew the shape I wanted and added in SA and attached at the waist and through the side seam. I like that these are separately finished pockets-fully lined in leftover Liberty Silk from my Granville Blouse. It feels more secure and less bulky than inset side pockets. Plus these are really deep and hold my wallet and keys easily! I like practicality! 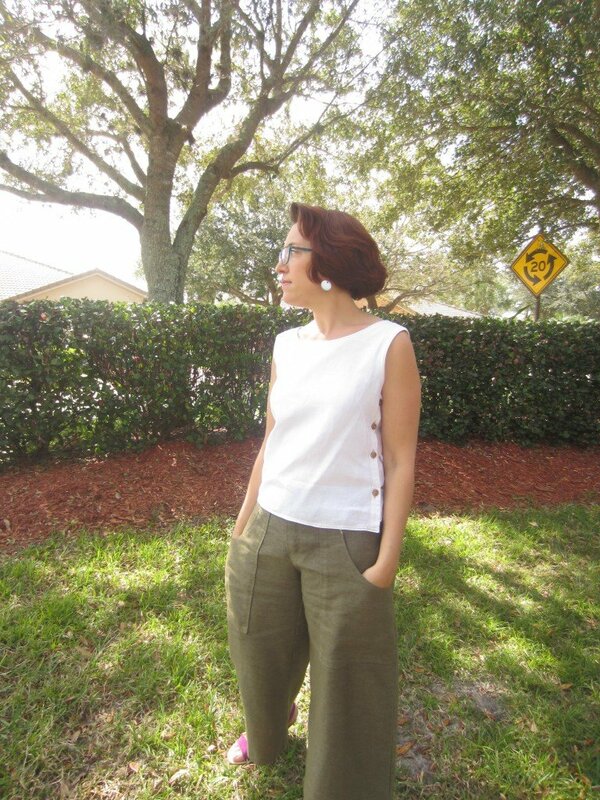 I’m wearing these here with my Sleeveless Scarf Blouse– I cut off the scarves and love this top so much more now! This was one of my first blogged tops and I love that it still looks good as new 2+ years later. This pants were the perfect addition to my wardrobe. Really versatile and the go with everything. My last makes for winter! My spring sewing is in full gear. I have three Fifi sets done as well as a Vintage Vogue Teal Linen Dress. Plus my other Vintage Dress in Coral Linen is half way done too! And the best news of all-we just sold our condo!!! And it only took us 11 months-LOL! We’ll be moving in less than three weeks so my posting may be sporadic for the time being. I’ve got some packing and apartment hunting to take care of. Wish me luck! i was drooling for that pattern number :)). these are perfection! and good luck on your move! Thanks so much! The finished full width of the lower leg is 28″. Hope that helps!